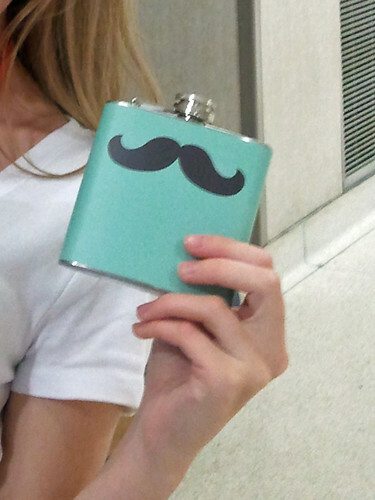 Mustache flask! I was giddy to find it. 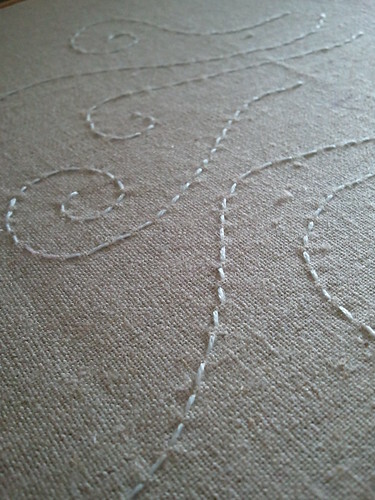 More embroidery. This is another Potter Pattern sneak peek, although not as exciting as the others. Lots of reading! When I was a kid my parents didn't ground me in the traditional sense - instead they grounded me from accessing my bookshelf. 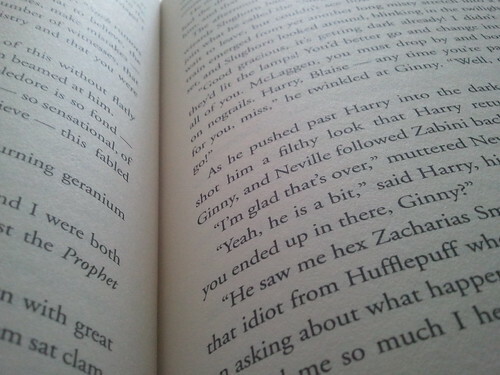 I was [and still am] a voracious reader. 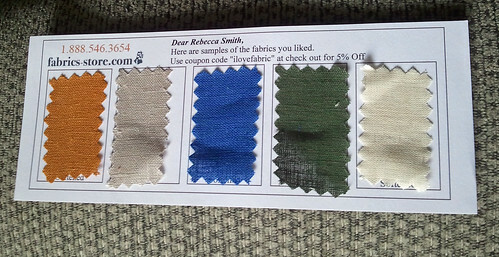 Linen samples from fabrics-store.com! 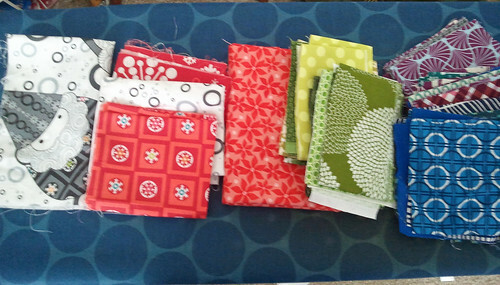 I've gotten two sample cards so far and have decided on Pebble linen [2nd from left] for my king-size bed quilt. But I'm quite smitten with this color card to be it's own quilt palette. Too bad there aren't too many evergreen fabrics out there. 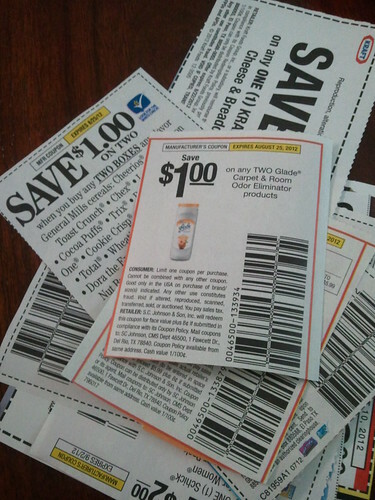 I love cutting coupons. Big grocery trip planned for tomorrow, and not a day too soon, as there are 2 completely empty shelves in my fridge at the moment. Apologies for the blurry picture, but this is my collection o' projects that I'll be working on this week!